Office water coolers are such a staple in most working American’s lives that we have gone so far as to coin the term “water cooler effect” to describe the ubiquitous phenomenon of employees gathering around water coolers to chat. TV series often shoot for their programing to have a water cooler effect, meaning they received incredible buzz from the evening before. That iconic five gallon jug stand of drinking water is an unmistakeable image, but one that is slowly becoming dated. Office water delivery companies have kept up with advances in water filtration technology and now have a large selection of more efficient and effective coolers, dispensers and basins for you to choose from. State of the art technology now allows for the bottle less water purification coolers, also known as the Point of Use water filtration. These sleek machines offer the exact same delicious filtered water that you have been getting from your water coolers but without the hassle of lifting back breaking bottles. No back stock of bottles to contend with storing. No possible interruption from your workflow when bottles are being delivered or changes. Another bonus to a point of use water filtration cooler? Your billing invoice is always the same, no matter how much water you consume! Another option that utilizes cutting edge filtration technology for your benefit is a reverse osmosis system. It’s new technology for under your sink and perfect for a smaller workspace. These tankless reverse osmosis systems offer on demand, continuous flow drinking water without dealing with a storage tank to fill. A quality reverse osmosis system can easily purify 42 gallons of water each hour, and stops the flow of water when not in use. These are incredibly high production, low energy filtration systems. Of course there is something to be said for the staple that are the office water coolers. Even this standard offering from water delivery companies has had a make over in the last few years. There is a large selection of free standing water coolers, bottled water stands and crocks, as well as sleek counter top dispensing options. The crisp water contained within those bottles has been rigorously tested to avoid any chemicals, additives or negative particles. 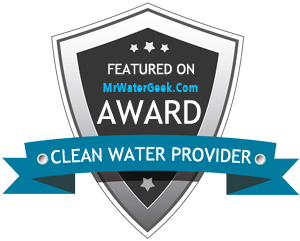 You can rest easy knowing that the drinking water you and your people are enjoying is of the highest quality, no matter what type of water cooler you decide to use.